The upcoming HTC flagship smartphone to replace the HTC One is attracting a lot of interest at the moment. While we’ve been hearing plenty of leaked news and rumors about the device, one thing that has been very unclear up to now has been the actual title of the phone. Now the HTC One 2 looks likely to be the title of the new flagship. Various specs of this much-awaited HTC handset have leaked already, although none of them are so far confirmed. However, recent news reinforced the probability that it will have Full HD display resolution of 1920 x 1080 rather than the higher display resolution of 2560 x 1440 that is expected to arrive with other upcoming flagships such as the Samsung Galaxy S5 and the LG G3. News of the upcoming HTC flagship has failed to pin down the name of the device so far and we’ve seen several touted. These include the HTC One+, the HTC Two, the HTC M8 (thought to be the codename) and also the HTC One 2. Now the latter of these looks virtually certain following a reported on a French government website. 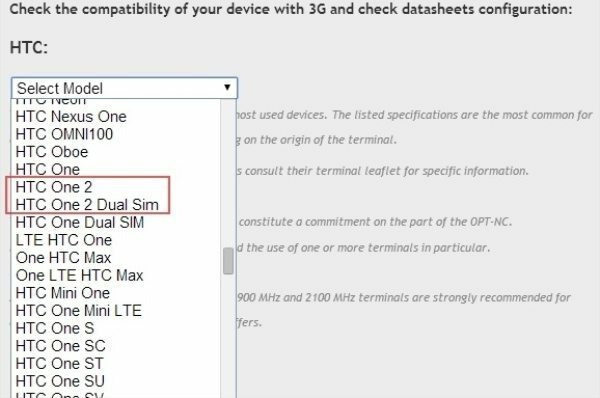 A dual SIM version of the phone is also in the pipeline, with the listing on the New Caledonia Office of Posts and Telecommunications showing both the HTC One 2 and the HTC One 2 dual SIM. Not a lot of other information is shown on the documentation other than 3G connectivity, but we are expecting to hear official news on the replacement for the HTC One before too much longer. For now though, it does look as though the question mark over the name of the device has been cleared up. Are you hoping to see official clarification and confirmed details on the HTC One 2 soon? What are your thoughts for the upcoming HTC flagship smartphone? Why not send us your comments on this.